We’re ready for the Holiday Season! OH YES WE ARE! December is right around the corner, and at this point in the year, most companies have a show under their belts, and the theatre season is well under way! Between G&S JR, Workshops, Auditions and Performances, we have plenty going on at Morpheus these days! Don’t forget that Gift Certificates make a great holiday gift! DECEMBER 8 – 16 – BEAUTY AND THE BEAST – The classic fairy tale re-imagined for this year’s Family-Friendly Holiday Panto! Buy tickets HERE! December 9 – Suzuki Technique Workshop – This method builds awareness of the body, allowing the actor to commit more fully to the physical and emotional requirements of acting. December 16 – Last day of G&S JR Theatre School before holidays! December 31 – Deadline for Submitting to Direct a show for 2018-2019. Click HERE for details. Got Passion? Apply to Direct with Morpheus Theatre! Got ideas? Send them to us! Morpheus Theatre is seeking experienced and passionate directors for our 2018/2019 season! We present 4 quality shows each year (a farce or comedy, a Christmas family production/pantomime, a contemporary play, and a Gilbert & Sullivan operetta) at the Pumphouse Theatre, in both the Victor Mitchell & Joyce Doolittle Theatres. Awards, Auditions and Booksales… Oh My! As we approach the end of the dog days of summer, and look forward to a brand new theatre season, we would like to thank all of you – patrons, volunteers, and supporters – for engaging with us in our shared passion of creating Shows Worth Seeing. We know your time is valuable, and we thank you for sharing it with us. We would like to congratulate all recipients & nominees of this year’s Cat Awards! The community came out to celebrate in red and white style the dedication and passion of all community theatre volunteers on August 26 at the Rozsa Centre. Morpheus was pleased to present Volunteer Awards to Carol Dann and Ginette Simonot for their exceptional contributions to our company for this past year. Also, special Congratulations goes to Jennifer LeBlanc and Stephen Gomori who all received awards in their categories! See the complete list of recipients HERE. 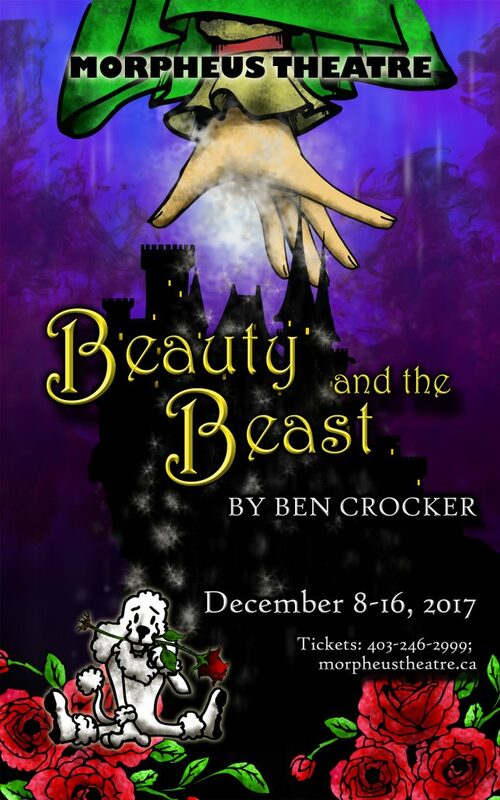 Sept 6, 7, 9 – AUDITIONS for BEAUTY AND THE BEAST – Calling all performing artists! Are you looking for a fun filled, magically musical project to get you through the dark days of fall? Well look no further! Morpheus Theatre is pleased to announce auditions for our family friendly holiday season panto! Sept 10, 7:00 pm – G&S Singers Resumes – Join our non-audition chorus for laughter, patter and music! 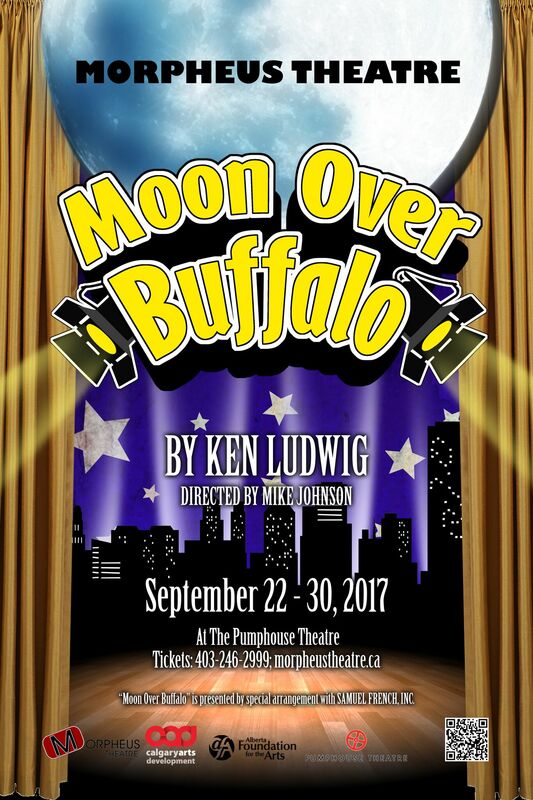 SEPTEMBER 22 – 30 – MOON OVER BUFFALO – “Moon Over Buffalo packs more comic genius onto the stage than anything in recent memory!” USA Today Don’t miss our hilarious Fall Farce! Buy tickets HERE! Oct 14 – G&S JR Theatre School Begins! We still have ONE spot available for the 13-17 class! AUDITIONS – A Little Murder Never Hurt Anybody Coming soon! CASINO SUCCESS! Thank you to everyone who came out to volunteer for our Casino fundraiser Aug 17 & 18! WORKSHOPS – A full season of awesome workshops is in the works! Information coming soon! Morpheus AGM Monday September 11 at 7:00pm ! 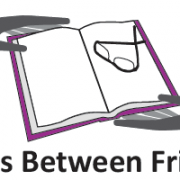 We welcome donations of books until September1st at our home at Morpheus Theatre (3512 5 Avenue NW). Morpheus Theatre is seeking a Theatre Administrator to join our office team. This is a part-time employee position beginning in August 2017 (approximately 15 to 18 hours per week). Morpheus Theatre is a proud member of Calgary’s community theatre scene and is about to embark on its 23rd season of shows worth seeing. Morpheus Theatre performs out of the Pumphouse Theatre with offices and rehearsal space in the Parkdale Community Centre. Our typical season of shows includes a farce or comedy, a family pantomime, a more intimate comedy or drama and a Gilbert & Sullivan operetta. We also run an adult chorus, a junior theatre school, and one-day educational workshops. 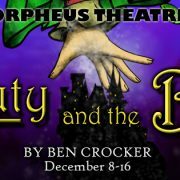 With the exception of some part-time office staff, Morpheus Theatre is run exclusively by volunteer members. This position entails sharing general administrative duties relating to box office operation and marketing. This includes; but is not limited to sharing tasks including, handling individual, group and subscriber ticket sales, updating the volunteer and patron databases, organizing and maintaining Morpheus’ rehearsal space, properties and costumes, handling some production-related duties and handling marketing and social media activities. This is not a computer-only based job, but includes customer service, volunteer management, information distribution, facility management and creative problem solving. It will require an open-minded, multi-faceted individual. The Theatre Administrator will work closely with both the Operations Manager and Artistic Director. As Theatre Administrator you will share responsibility for the day to day operations of the theatre. This will include receiving phone calls and emails, processing ticket sales and responding to questions or forwarding the information on to the applicable party. The Theatre Administrator will regularly update the website information about shows and post any relevant articles or notices. The Theatre Administrator will also be responsible for sending any requested information to the membership via email or mail. The Theatre Administrator will be seen as one of the public faces of the theatre and will facilitate good relations with the community at large. In addition the Theatre Administrator ensures harmonious working relationships among the various groups that use the building. In that regard, the Theatre Administrator may be asked to help monitor the calendar of events and the rental/booking of various rooms. The Theatre Administrator will be expected to work approximately 15 to 18 hours/week. The times are flexible and negotiable; however, core hours would include three regular days a week from 11am to 4pm. Ideally the candidate can work Tuesday, Thursday, and one other weekday. Morpheus Theatre will offer an hourly wage based on experience. If you have any questions or are interested in applying please email the Artistic Director at the address below. Applications should include your resume and a cover letter outlining your experience and your wage expectations. Only candidates selected for an interview will be contacted.